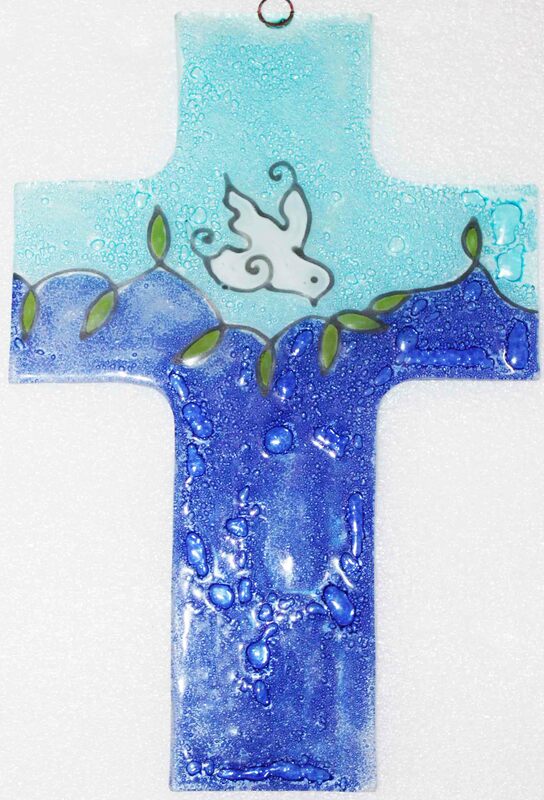 Hand made product using recaptured fused glass. Each piece is designed in a join collaboration between the designers in Ecuador and the USA. The extra large crosses are an excellent decoration item made in Ecuador. Cross Dimensions 9.8 x 6.6 inches.